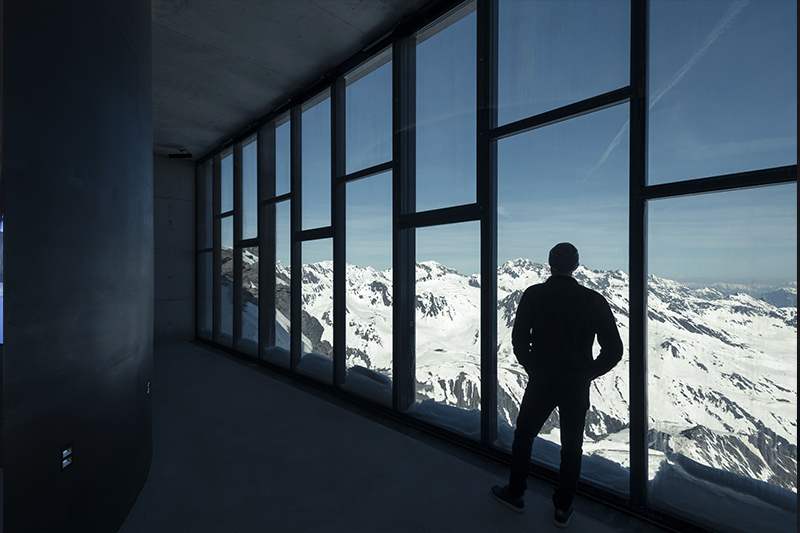 Sölden was chosen as the location for the winter action sequence in the 24th James Bond movie, 'SPECTRE'. The relationship with Sölden began when Production Designer Dennis Gassner was asked by Director Sam Mendes to find a hot and a cold location. The ice Q structure had the perfect clean and clinical Alpine aesthetic for the Hoffler Klinik, and its position atop the 3,048-metre Gaislachkogl Mountain made it especially attractive. With key scenes set inside the Klinik, however, the filmmakers built the interior at Pinewood Studios in England, the traditional home of the James Bond films. Once this location was established, the filmmakers required a further nine locations to complete the sequence, all of which were found in the area. Jakob Falkner Managing Director of the cable car company Bergbahnen Sölden, one of the leading ski lift companies in the Alps, was inspired to create a unique visitor experience in the heart of the Tyrol region to showcase the film-making that took place in Sölden. Falkner engaged Austrian architect Johann Obermoser to conceive a space suitable for a James Bond installation. The building is owned by Bergbahnen Sölden. 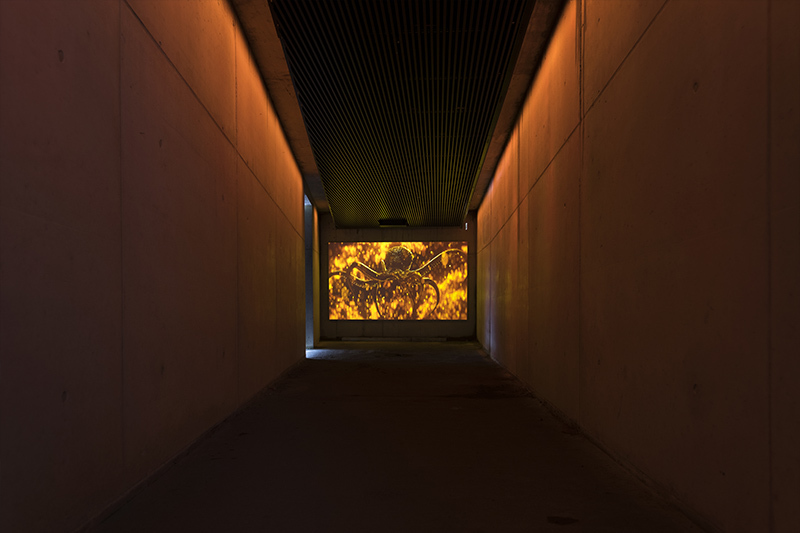 The installation is a partnership between EON Productions and Metro-Goldwyn-Mayer Studios (MGM) who jointly own the rights to the James Bond films, and Bergbahnen Sölden. The concept for the installation was designed and developed by James Bond Art Director Neal Callow (Casino Royale, Quantum of Solace, Skyfall and Spectre) together with Tino Schaedler, Head of Design at Optimist Inc., a leading creative agency represented at four locations in the USA and Europe. Neal and Tino collaborated with architect Johann Obermoser and his team to design the entire project simultaneously. The bespoke building was created specifically to house the concept. 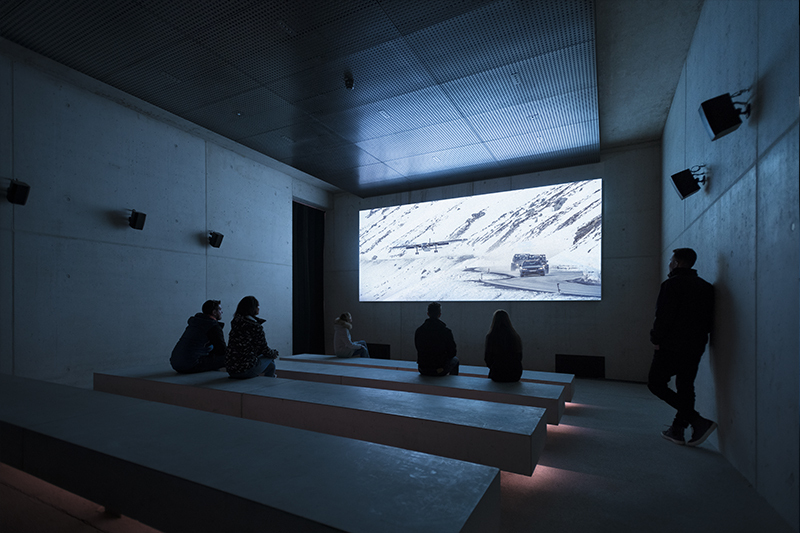 The galleries within the building explore the legacy of the making of 007 movies with a special focus on Spectre. 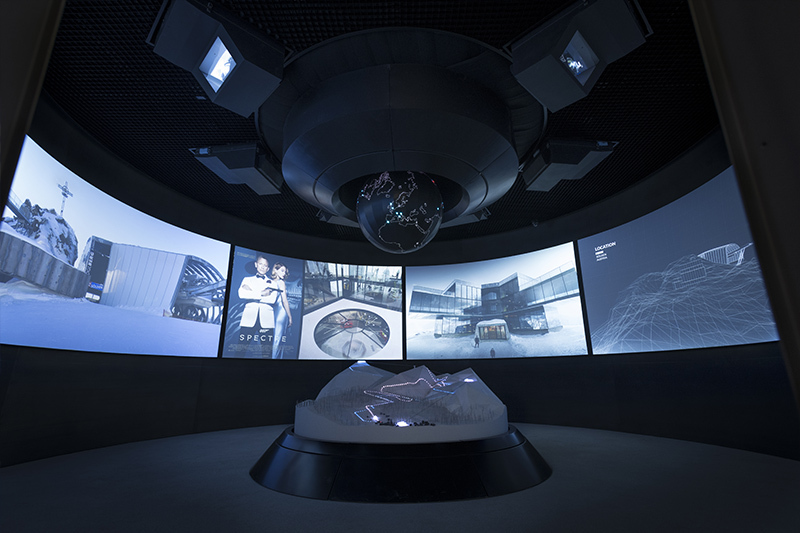 It is a purpose-built, next-generation experience that places visitors inside the world of 007 while also revealing how that world is created. 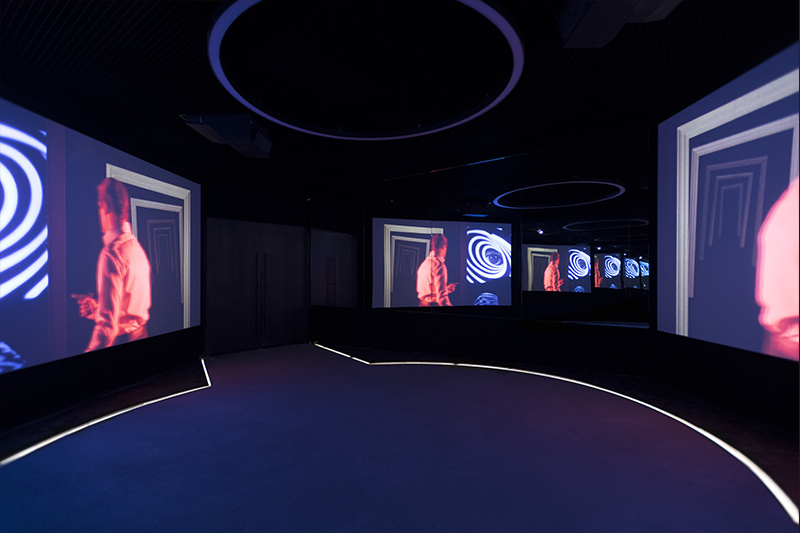 Visitors are taken on a multi-sensory journey, with emotive soundscapes, dramatic programmed lighting, and high-quality visual projections. 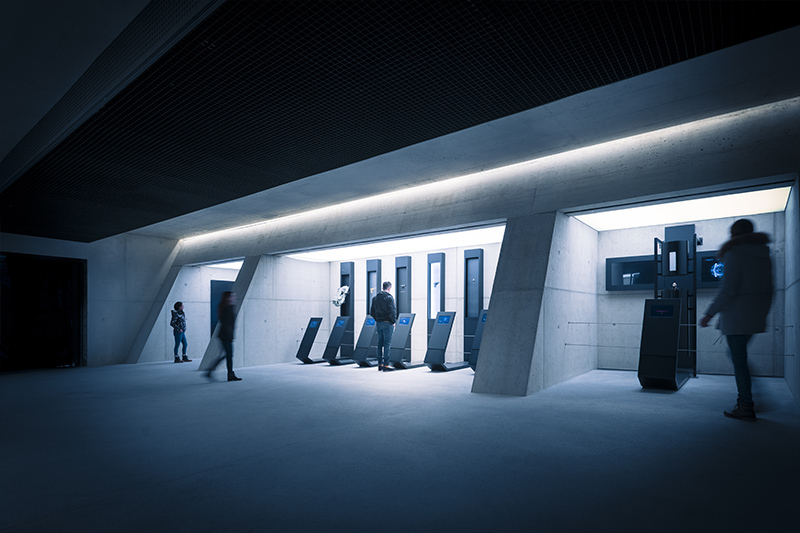 The structure of the storytelling, the rhythm of the spaces within the building, and the movement between light and shadow was designed to give visitors an experience closer to a movie than a traditional museum. 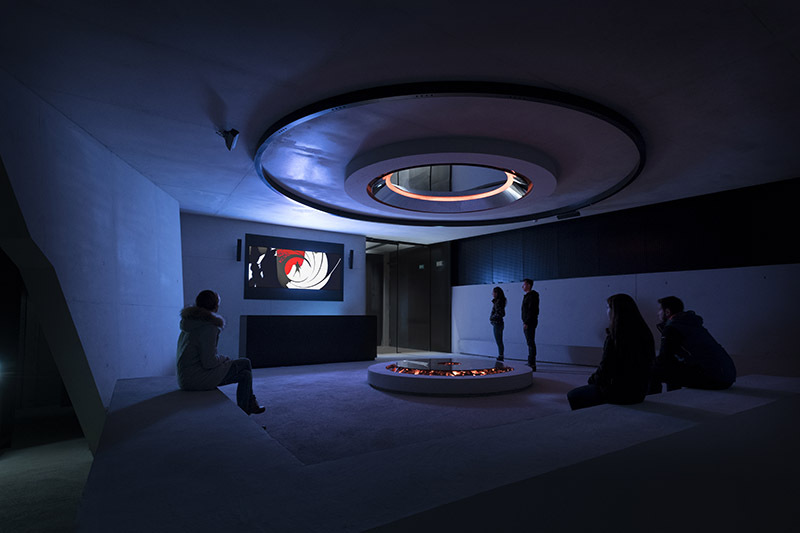 Both an immersive and informative experience, 007 ELEMENTS extracts the experiential fundamentals of a Bond film and brings them to life using innovative technology, theatrical presentation, and interactive installations. A timed exhibition, visitors will purchase a ticket for a specific time slot. The first half of the installation is programmed sequences. They are then free to explore the remaining galleries at their own pace. 007 Elements opens to the public on 12th July. Tickets can be booked from www.007elements.com.